The author originally self-published his book with help from an artist friend. The cover design was interesting but it failed to appeal to his target audience. It needed a major makeover to make it look more professional and appeal to his target audience: young outdoorsmen. His was hard to read and there were a few non-standard elements. Click the navigation arrows on either side of the cover image to see the makeover. The first image is our final re-design with a new illustration of a young bow hunter. The second image is the author’s original version. Lane is an accomplished outdoor writer and an avid outdoorsman. He has been writing for the past ten years and has over 120 articles professionally published. He’s an elementary school principal who lives in Michigan with his wife and three daughters. He travels and speaks to churches, outdoor clubs, organizations, and schools. Note: We also designed the other covers in his Hometown Hunters series. Our task was to totally re-design the cover giving it more appeal to his target audience: young outdoorsmen. 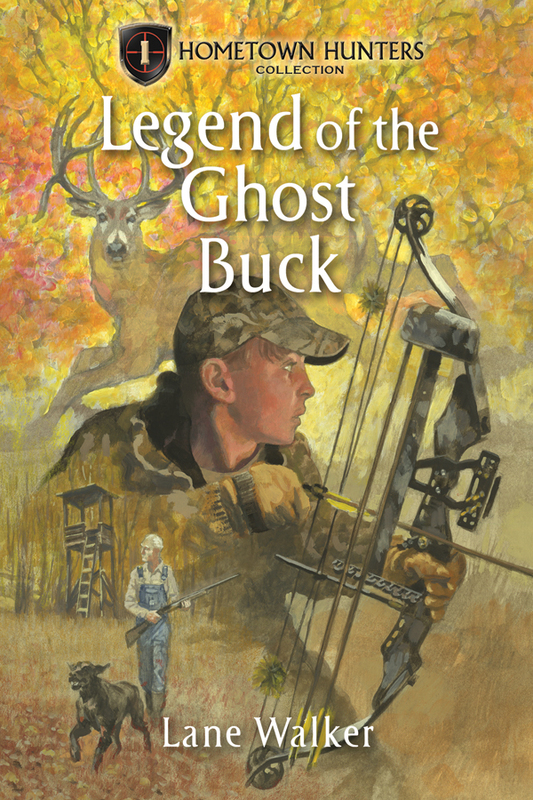 We decided to commission a new cover illustration that featured the image of a young bow hunter, downplaying the Ghost Buck. 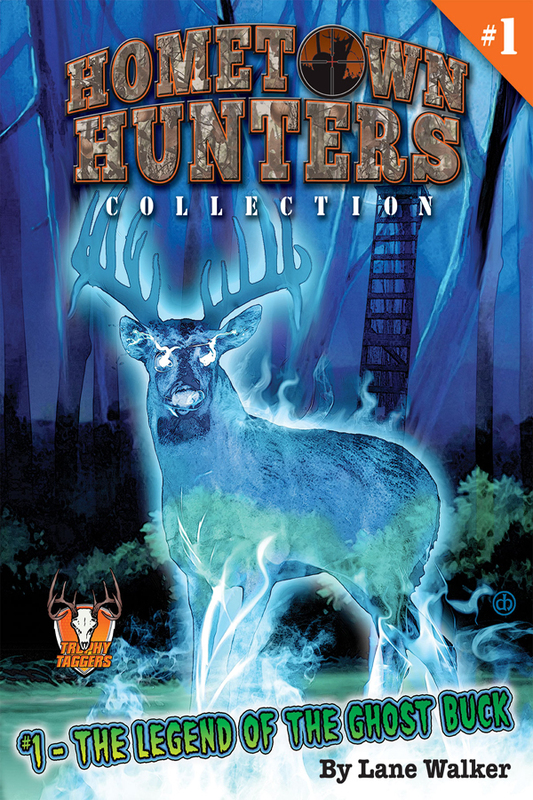 The Hometown Hunter’s logo was also re-designed to be less intrusive on the cover.